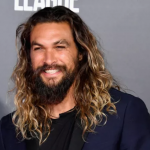 We love seeing people who are absolute legends in their field of work! They are a massive inspiration to us and we admire their determination and skills! However, we need to admit that we also love seeing those who are not particularly good at their jobs, and there is a reason for that! Just think about it! If a person is not capable of doing a good job, the end result of that job might be just the thing to include in a list of funny things! 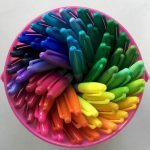 You are about to see such a list and it is filled with people who did not do great at work! When we first saw this image, we thought that it was altered in some way but it turned out to be genuine! We have no idea why or how it happened. Maybe it was the result of miscommunication or poor engineering. One thing is for sure, though – someone failed on a massive scale here! When we are talking about fails, we mean things like the one in the photo above. If you didn’t notice it, we will give a hint. 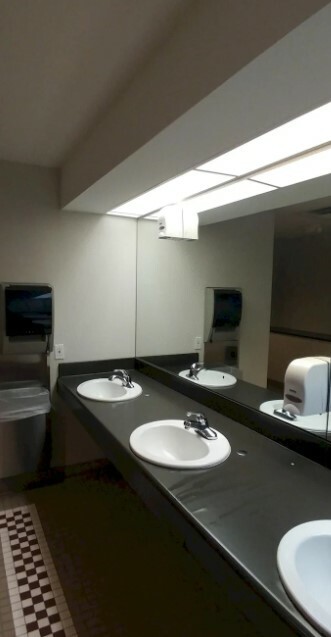 The soap dispenser was mounted as high as possible, making it completely useless! We tried to figure out a reason for this decision, but we were unable to explain this in a reasonable way! We guess that it might be a prank of some sort. As much as we wanted to believe that this was an altered image, it turned out to be a real one! This has got to be the most absurd roof construction fail we have seen in a long time! 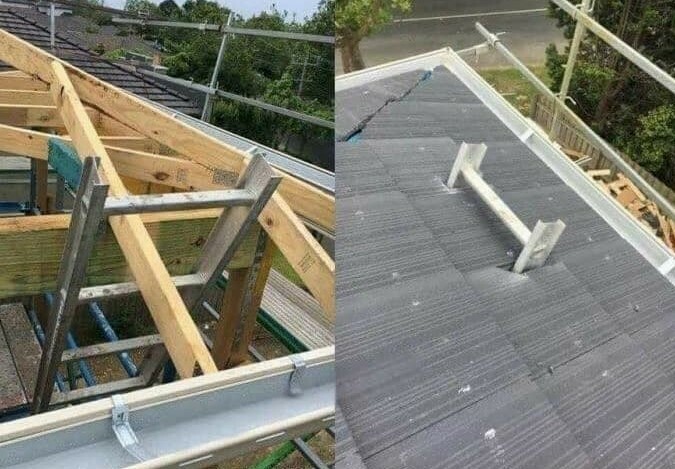 Making a mistake in the blueprint is one thing, but actually constructing the roof around the ladder seems to be a mistake that is more than ridiculous! Maybe someone tried to prove their point about something or lost a bet, who knows. 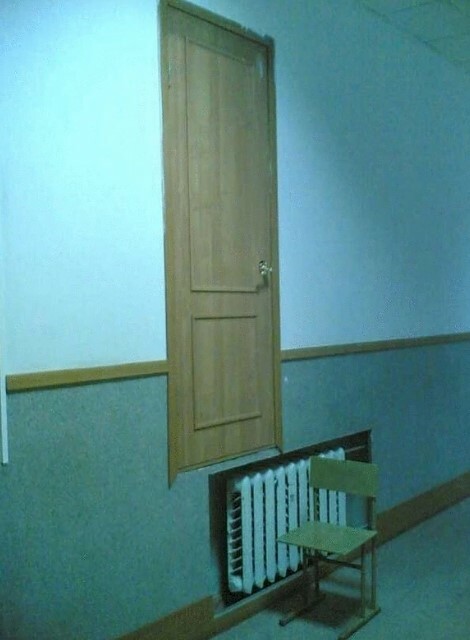 We guess that everyone with a basic set of skills and a toolbox would be able to install a door. It is a fairly easy task that only requires times and some patience. You cannot go wrong! Well, it turns out that you can! 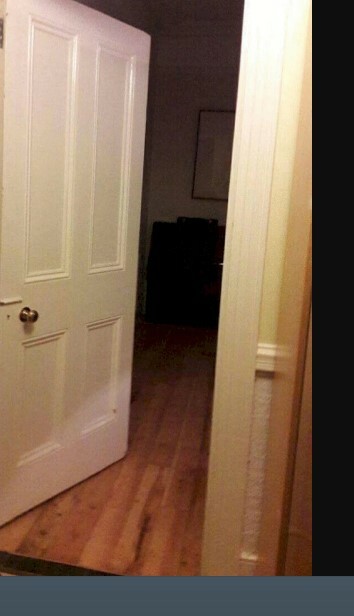 This funny picture shows that someone chose the only wrong way possible to mount this door! Trying to explain this would be really hard! 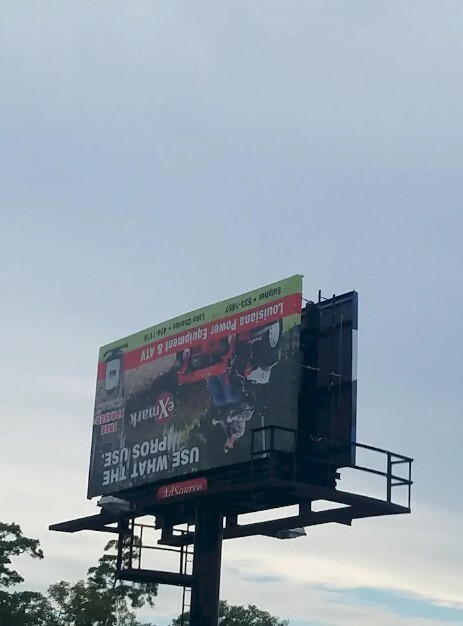 Is there any chance for the person who installed this billboard to be the same one who messed up the door mounting? The pattern is the same! 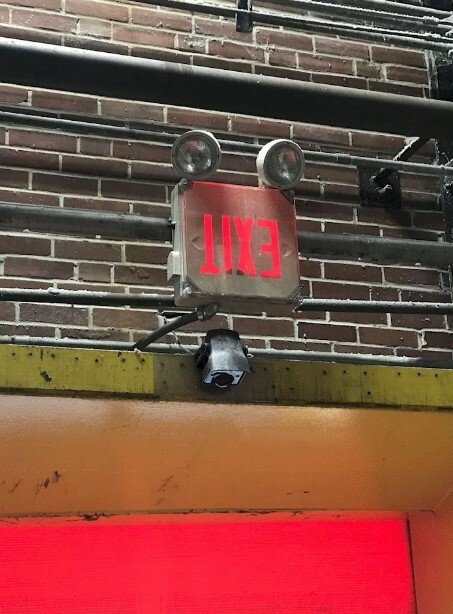 There was only one way to mess this up and the person who was responsible for the installation managed to go that route! We cannot believe that this could happen and we assume that it was done on purpose. Maybe it was an act of revenge. 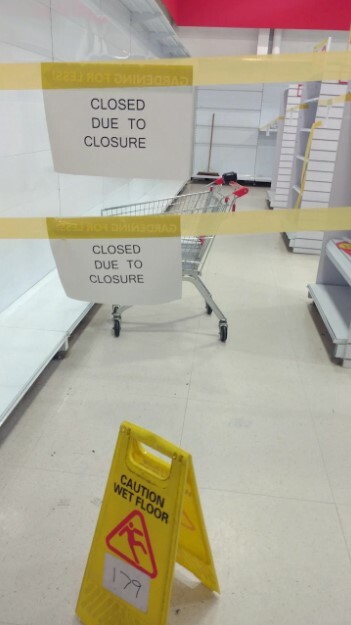 This person could easily win the imaginary ‘You had one job’ contest. 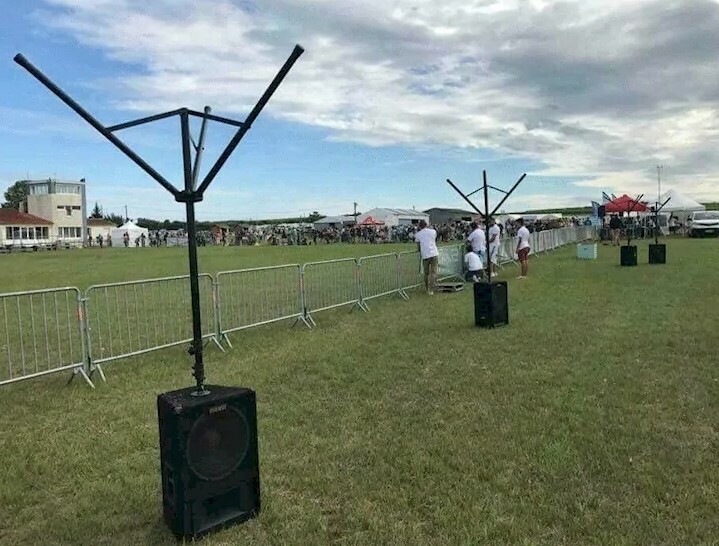 As you can clearly see, all the speakers are not aligned but that is not the issue here! The trouble is they are upside down! We believe that their performance would be drastically reduced. However, we tried to find a plausible explanation about this setup. Strong wind is the only possible reason we came up with. We need to admit that the quality of work that can be seen in this photo is not bad at all. However, the reason why the photo is on this list is more than obvious! Someone decided to create a design that can give you a headache! Those sharp edges are just too much for out sore eyes to handle! We hope there was a good reason for such a design to be chosen. Someone decided to translate this without professional assistance and the result is as bad as expected. 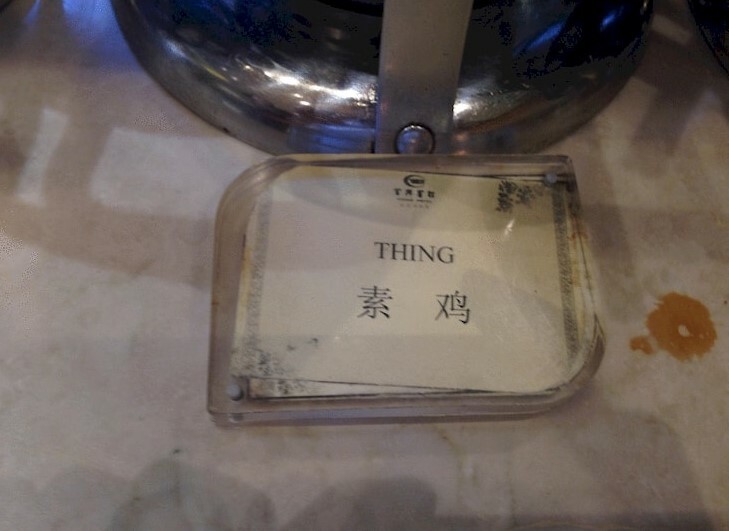 How would react if you need to choose food at a restaurant and there is an option called ‘thing’? We guess that it sounds a bit intriguing because it might be something extremely tasty but it could also be a horrible meal that you wouldn’t eat a bite of! This is one bad translation for sure! Sometimes seeing people’s effort to complete simple tasks makes us angry and in other cases it makes us feel sorry for them! This is a nice example that will make you feel the same way! 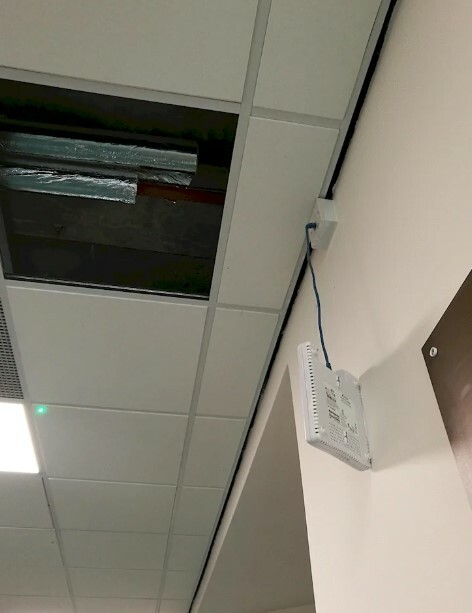 Whoever tried to install this router did not even bother to secure it in place. It is still hanging there thanks to the tight fit of the cable connector on the back. Relax! You do not need to remind yourself of the things you learned in geography classes back in high school. After all, this is a world map and everyone has seen it multiple times, right? 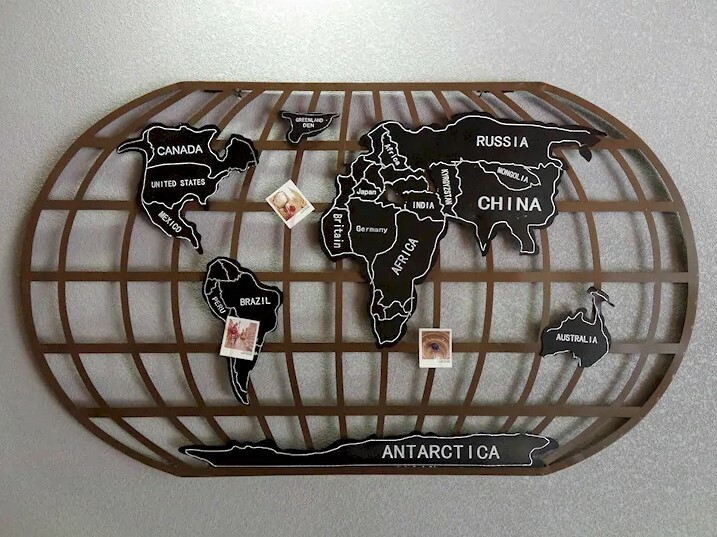 Well, it turns out that at least one person has never seen an actual world map before. It is the same person who created this one! You can clearly see that it is completely wrong and despite the decent fabrication work it is useless! The main thing you should consider when installing a lock somewhere is its proper functionality. 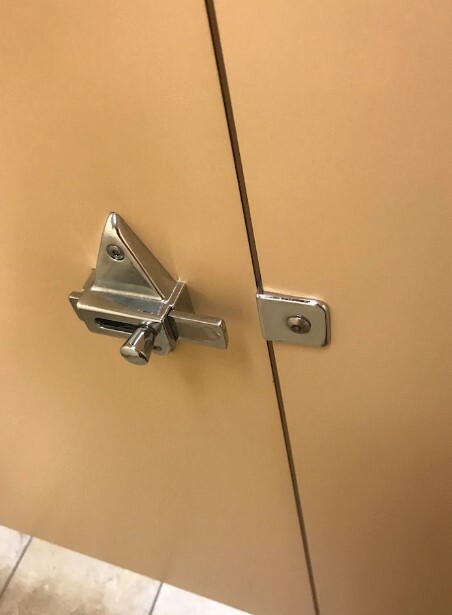 It needs to actually lock whatever it was meant to; otherwise it is not worth the installation. However, someone obviously decided to put a lock on this bathroom door and they sure did, but there is a major flaw! The lock cannot be used; therefore the door cannot be locked! Well, this photo hardly needs a caption but we will give it a try anyway! 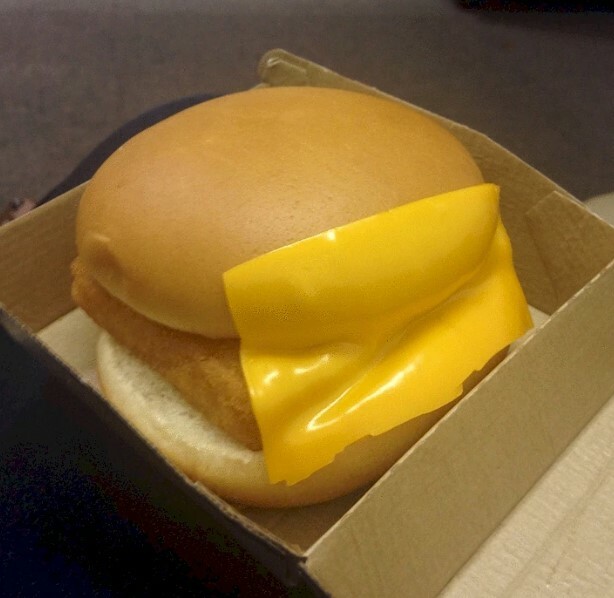 As you can see, someone ordered a fish fillet sandwich with a side of cheese. The person who prepped the meal obviously accepted the customer’s request literally. The end result is what you see in the photo and yes, it is a fish burger with a side of cheese, technically speaking. This is the kind of job that can make you question the motives of the person who did it. 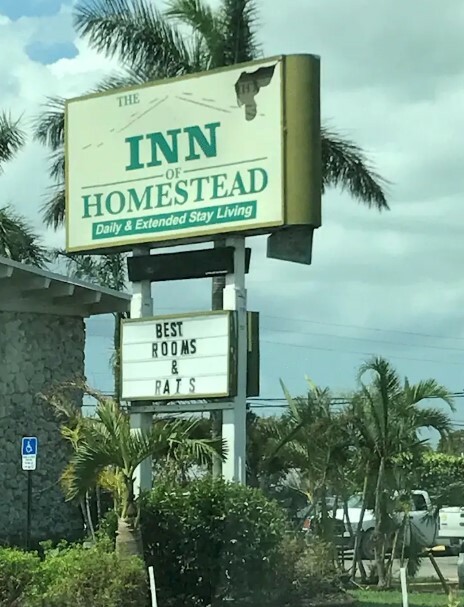 Nobody would advertise their own motel by saying it is rat-infested. 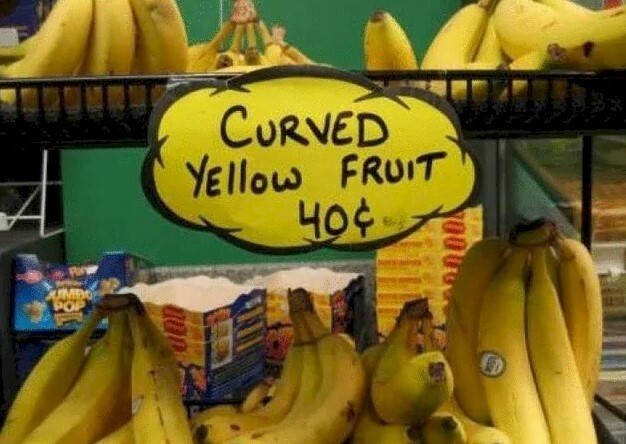 The reason for this sign to exist must be different. Maybe an employee on the last day of the job decided to take their revenge and put the sign up for everyone to see. As we already mentioned, construction fails are amusing to see because they are relative hard to happen because of all the planning and paperwork involved in a construction job. The fun part is when the fail actually happens! This means that someone completely neglected their job and such a situation usually ends up like the photo above suggests. That chair is probably there due to the lack of a staircase. When you get into the public restroom, you should be able to have your privacy while you mind you own business. This is what bathroom stalls are for. 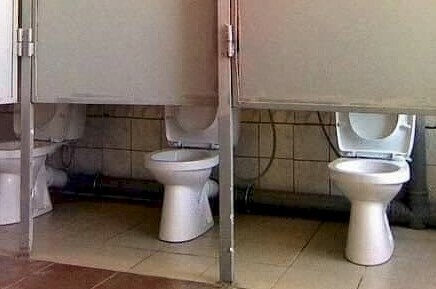 However, in this case you better not count on these stalls to cover any of the things you intended to do! It is obvious that someone miscalculated the correct measurements here. Unless you are used to walking on your hands or you happen to be a superhero with a black cape, this sign is definitely not going to work for you. Someone was able to mess up a seemingly simple task! The end result proves that it was not that simple because someone was still able to get it wrong. At least it seems to be an easy fix. Well, there are not words left for us to caption this one! Oh, well, we will give it a try. 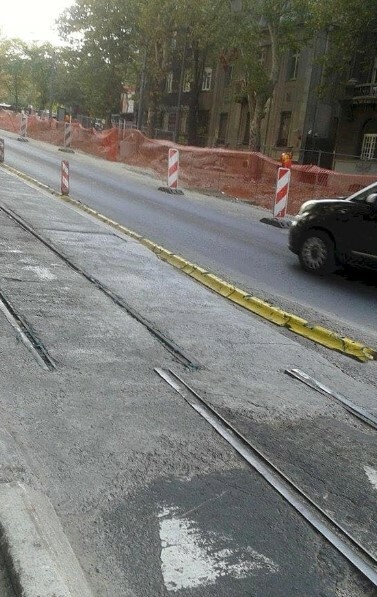 First of all, there is absolutely no way that this job was done by a professional! 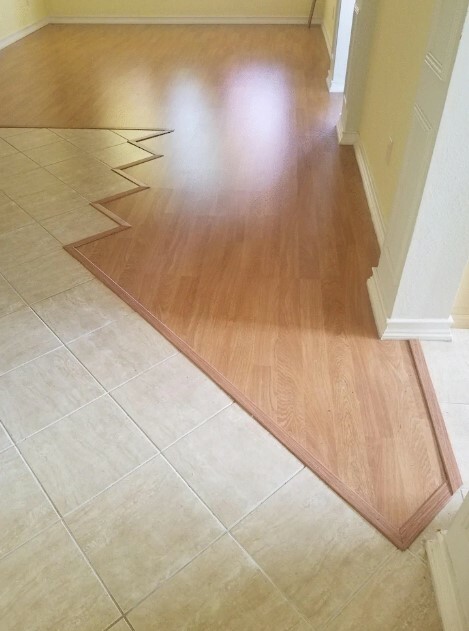 Even people who are not involved in construction or remodeling projects are aware that there is only one way to install a tile and that is facing up! 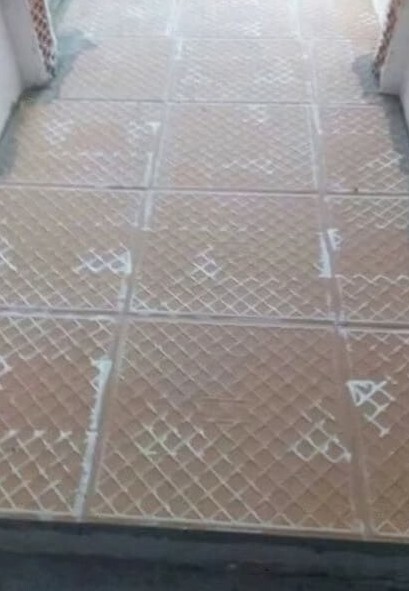 The reason why someone decided to cover an entire floor with tiles facing down remains unknown. Of all the signs we have seen that people put up for different reasons, this is definitely the funniest! It appears that whoever printed these signs and put them there had no desire to do it and you can definitely tell that!